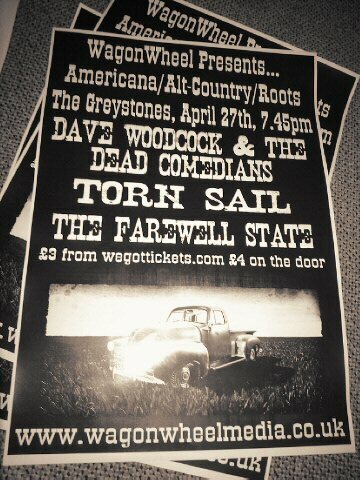 On Wednesday April 27th, WagonWheel Presents… returns to The Greystones with a fine triple bill of musical entertainment. 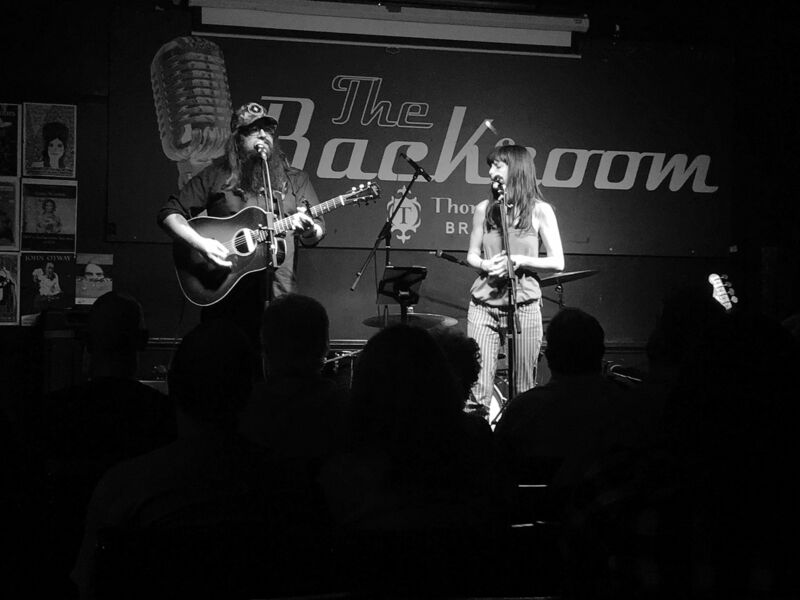 Described by Americana UK as “The next big thing from Sheffield”, there’s a welcome return to the WagonWheel stage for Dave Woodcock & The Dead Comedians. Booze soaked rock ‘n’ roll echoing the likes of Springsteen, Strummer with a nod towards the likes of The Hold Steady. Whilst the name Torn Sail will be a new one to some, the music will be welcomingly familiar. Largely formed around the band once known as The Cold Light Of Day, expect flashes of feedback guitar, spots of crying steel, stripes of soulful piano, smeared with machine-gun rhythm. Electrifying country punk which tells tales of loneliness and heartbreak, and paints spaced, jet-lag desert scenes with beauty and fury. Kicking the night off will be The Farewell State. Take one voice from local widescreen rock outfit The Letter, throw in influences ranging from the likes of Fugazi and Afghan Whigs to Sparklehorse and My Morning Jacket, chuck in an acoustic guitar and you have something more than just another singer/songwriter. Advance tickets priced at £3 are available from http://www.wegottickets.com/event/111041 (booking fees apply). Entry on the night will be £4. Doors open 7.45pm.